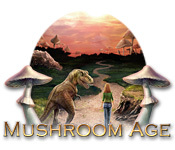 Mushroom Age is rated 4.0 out of 5 by 66. Rated 5 out of 5 by krissy888 from Hoot Hoot I had a lot of fun with this game. No time to get bored. No "same ole same ole". Made me laugh and I played for hours. Just the right length, too. Buy - you'll like it. Rated 5 out of 5 by ianamateiko from My favorite game! Mushroom Age is my all time favorite game! Love it! Rated 5 out of 5 by fair_cher from Fun, unusual game with lots of variety This one is different, but I love the variety of games: hangman type, unscramble, HO and more. I love variety, not the same puzzle over and over. This one is fun, with lots of chapters, and always something new to do. Traveling through different times is interesting, although I didn't know mushrooms were more evolved than anything else-- hint hint. Not hard, just an entertaining brain- teasing game.Lots of talking, but it was done well. Haven't noticed the music. For something different, great fun. Rated 5 out of 5 by marijkee123 from Fun fun fun This game is so funny. Lots of things to do. Tons of humor. Rated 5 out of 5 by daharma from Fun and Surprise This is a game that you get a lot for your money with. The game seems like it continues on and on in a good way. Very fun and surprises around every corner. Love this game and recommend it highly for all. Rated 5 out of 5 by pamipets from Different! This has always been an old fav of mine. Its different and fun, and the further you get in the game the better the mini games get. Some of them are quite challenging. Rated 5 out of 5 by Fuphyter from INCREDIBLE, DIFFERENT AND HYSTERICAL GAME I have been playing this for two days, on and off. I LOVE it!! The first game that is hilarious. I didn't look who created this one but "GREAT JOB". The voice overs have me laughing every time! The mini games are fun and different. I'm still thinking about Dino's voice lol Anyway..ahem.. it's like Monty Python meets Gaming. I totally understand the "mushroom" reference now. If you want to play a game laughing your way through this one is freakin AWESOME! Rated 5 out of 5 by donrus from What a fun game!!! I LOVED this game. Not many games make me laugh out loud nor care about the characters. The dialogue was great, From Nostradamus to Ugu the Caveman to Dino the Dinosaur, the characters were engaging. This game does have a lot of hunting around, but it has other types of games too, some I've never played before. I can hardly wait for the sequel. Rated 5 out of 5 by BugsTheHooDooMan from And now for something completely different..... What a hoot! It was really fun chasing the clues, meeting quirky folks from the past and future (including a robot, a cave man and even a mushroom!) and wondering what crazy turn would come next in the story line. The game's been around a while and it shows in the graphics and animation, but for some reason it works perfectly. Everything works together for some really enjoyable gaming. Most of the minigames were fairly easy. Most of the HO scenes were fairly difficult (at least for me) since they were split between two screens, had a fair amount of interactivity, and some objects had to be moved to find what was underneath. The story line was the star. Not the "Great American Novel" but a good coherent tale. Unlike many other games where what story there is barely manages to connect the scenes, let alone hold interest. The only minus was that the game only saves between chapters. You have to complete each one before quitting or you have to retrace some of your steps next session. So... Overall one of the best-integrated games I've seen. Definitely a five. Rated 5 out of 5 by mnkysmom from Fun game! This is a long game, and a pleasant change from the usual faire. Graphics aren't all that, but certainly not horrible! Story line is entertaining. You can only save at the end of a chapter, but that's really not that big of a deal, as the chapters are many. Lots of mini games, many original, no skip button, but that's okay, as they were fun to play. Hint button is helpful and recharges quickly. Definitely different, and actually good replay value. Fun game! Rated 5 out of 5 by vkacademy from Mushroom Age is hilariously fun I played this waaaay back when it was new to BFG and just laughed my way through it, despite some pretty sticky puzzles. It's a really good game and the witty, silly dialogue just amps it up a notch. Rated 5 out of 5 by SDKitty from Hidden Object Adventure Game This is more a long the lines of a Hidden Object Adventure game. Pros: New interesting story Line. Medium Puzzles (Those of how like Puzzles in their Hidden Object) Sounds are good and Voice Very Nice Clean and Crisp you can Understand what they are saying. Any type of Con: Not really Good straight up Hidden Object. 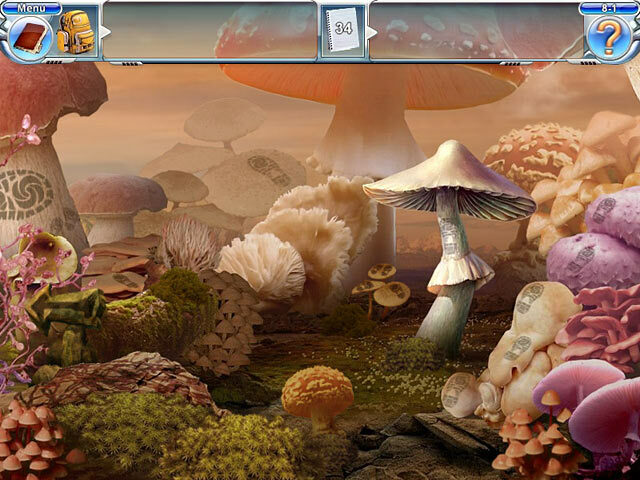 But can be a good start for going into the Adventure Hidden Object games. Rated 5 out of 5 by fundit2 from fun time travel Vera has to find and rescue her fiance who is stuck in time. You meet famous - and not so famous - characters. Some of them are funny, most are quirky. I've played this multiple times and enjoyed it each time. Just remember you can only save at the end of chapters. Puzzles vary in type and complexity so it's not just a HOG. Rated 5 out of 5 by Skyered from Awesome!!!!!!!!!!!! I never get tired of playing this game!!! I play it at least every 2-3 weeks!!! Rated 5 out of 5 by Heather_G from Refreshingly different, long, and fun! I'm always on the lookout for games that break out of the demons/ghosts/insane criminals mold, and this is sure one of them. The game is long, so you get your money's worth, there are voiceovers (mostly pretty good#, which I like, and lots of silly touches. The game is humorous--definitely doesn't take itself too seriously--the characters are quirky, and it plays like an adventure game. All good. Now, for the part I didn't expect... It had an interesting story! Rather than merely providing the vaguest of motivations to find objects, there is a story here that has a few twists and turns, and details that make for #but didn't give away) a good ending. Really a lot of fun, and a game you can play with kids. My favorite thing is the way the characters enter and exit a scene, bouncing along like my son does with his action figures to simulate walking. I wholeheartedly recommend this game. Rated 5 out of 5 by Quincy_Fishing from I love mushrooms... especially on pizza! I thought this game was great! It was engaging, challenging, great graphics and not just "Go there, pick up that." I'd like to find another game or its sequel. I really like that it wasn't in complete darkness, as some many are! Rated 5 out of 5 by Staje from Such a ridiculous fun game I had a lot of fun with this game. I especially liked giving Socrates a massage. I wish they would do a sequel. Oh, and the dinosaur voice alone makes this worth buying. Rated 5 out of 5 by FritzBear from An humorous game just for a change... If you are a bit tired of dark manors, werewolves, curses, ghosts and asylums tragedies, you might enjoy the different atmosphere and the humour of this game, which is only apparently easy. The graphic is a little old-fashioned and not very sophisticated, but it’s clear and pleasant, the characters are unpretentious but have an enjoyable self-irony, the voices are good. The game is quite long and all seems to be perfect…but there are a couple of flaws, which might seriously disappoint many people • The quizzes and mini-games cannot be skipped, so you have to remain stuck there until you solve them by yourself • You have to finish a chapter before leaving the game, because your results are saved only in chapters, so if you didn’t finish completely a chapter, when you start playing again, you have to re-start that chapter from the beginning. A part from that I recommend the game, which is definitely enjoyable. Rated 5 out of 5 by hbgroadends from Cheesy graphics and cornball voice-overs make this game a hoot! Yes, the graphics of this game are cheesy, however the story line is very cute, and the voice-overs are so goofy they make you laugh. I still laugh thinking about the dinosaur, and I haven't played the game in 2 years! 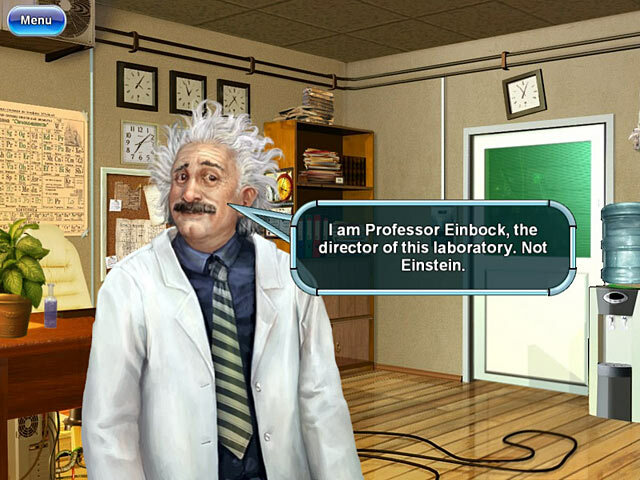 In any case, the game play was a lot of fun, with a great mixture of puzzles and interesting hidden object scenes. An absolutely delightful game! Rated 5 out of 5 by Charlie_Chicken from Long game with very funny characters! Loved it! At first this game takes some getting used to....but if you are in a giggly mood then deffo play it! The characters are funny and i actually laughed out loud on my own and then felt a bit silly when my dog started staring at me! This game is good value for money and is much longer than most. The story is easy to follow too, and has a good ending. Rated 5 out of 5 by LuvBFG56 from This Game is Too Much Fun! Of the 100 or so games I've played over the past 1.5 years, there has been maybe two or three that made me laugh out loud....this is one of them. Really funny and fun to play. The characters and voice overs are top-notch and make the game what it is...story is ok, but it doesn't matter here because you are enjoying the zany people, plants and animals. I know this will be a replay for me...and that is the biggest down side to HOG's...I don't replay them, except for a couple. Enjoy.... ps. Wonder how many people that played noticed the phallic symbols? Pretty obvious....what were the dev's thinking? Rated 5 out of 5 by Secretary50 from Funny Hidden Object and Adventure Game A very funny game. The challenge of the levels are very good. The story is funny and exciting. I like this game. Rated 5 out of 5 by itsme4t3 from Loved it! This game was longer than most which was nice. The puzzles and HO scenes were all very different and didn't get boring. It was kind of hokey, and yet the story line kept me going right up until the end. I wish all games were like this one! You can only save at the end of chapters. The uniqueness of this game was refreshing. Rated 5 out of 5 by pjoy from Cute and funny HOG The graphics were really different. Had me laughing at the characters and story line. It had a lot of different things to do. Rated 5 out of 5 by Eoarod from Fantasy Fun! A "classic" game that stands up well against current games! Very well thought out story line, fun characters & challenging mini-games! Your eyes will love it & your brain will get a nice little work out! Likely it will go straight to your "replay this!" list! Rated 5 out of 5 by kenya64 from Niiiiice! + Awesomeness! Storyline interesting from the get go...This game has multiple game play strategies, Hidden Object, Brain Challenge, Time Management etc...all in one! Even some Trivia while taking you through different eras in time...hours of guaranteed entertainment with a surprise ending to boot! Rated 4 out of 5 by spembo from hog review refreshingly original. Great music. Lots of fun but the ending was anticlimactic. 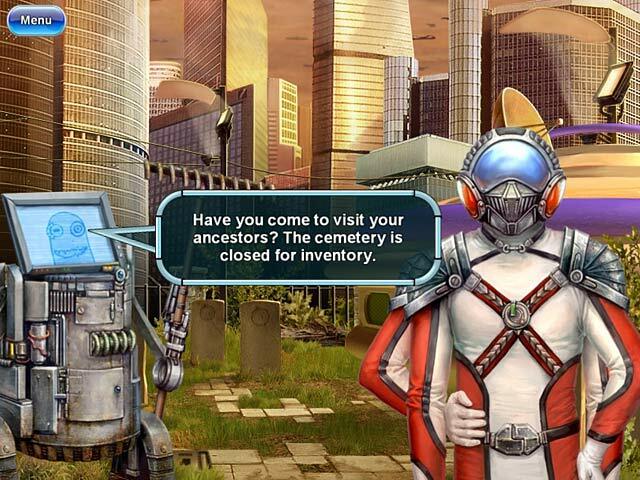 Battle evil forces from the future and help Vera save her fiancé Tom in this time-warping Hidden Object game!